August 11, 2018 (Ulson Gunnar - NEO) - 3D printing and other forms of computer-controlled manufacturing have allowed nations, companies and even individuals the ability to go from consumers to producers. As this technology improves and costs drop, access to this technology and the ability of the technology itself will increase, making it possible for virtually anyone, anywhere to make virtually anything. 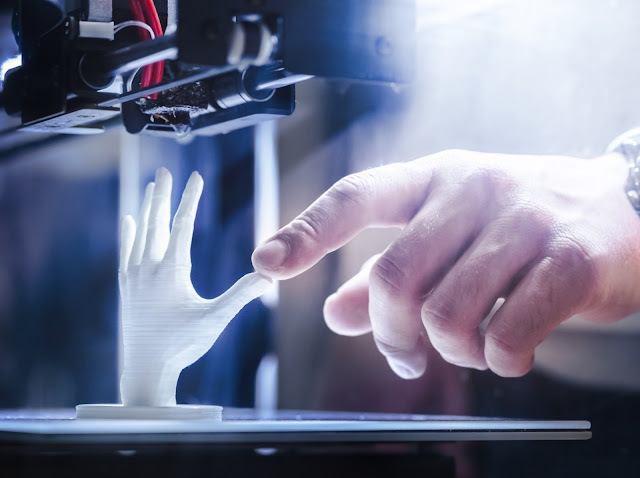 In May 2018, prominent US-based corporate-funded policy think tank, RAND Corporation, had published an article titled, "Four Ways 3D Printing May Threaten Security." In it, an argument was made about the dangers of 3D printing becoming more accessible, first by citing 3D printed guns as well as drones and other forms of technology it claimed criminals and terrorists could leverage. But then RAND would reveal a threat, particularly to its corporate sponsors, that highlighted the true fears 3D printing invokes among the captains of established industries — decentralization. The fear of 3D printing "taking jobs" for example, can more accurately be described as taking both jobs and revenue from large corporations and shifting them both to small companies or individual entrepreneurs. Along with this shift, goes the concentration of wealth and influence these large corporations have enjoyed, some since as early as the beginning of the Industrial Revolution. RAND also feared nations targeted by US sanctions being able to easily circumvent them by acquiring the parts and systems required by simply manufacturing them themselves through the use of technology like 3D printing. In reality, RAND and other representatives of established industries seem more concerned about losing their wealth and influence than of any "threat" such technologies might or might not actually pose. The victory spells the end of an ongoing lawsuit against the US Department of State -- which in 2013, forced Defense Distributed founder Cody Wilson to pull down files from the DEFCAD website because they violated International Traffic in Arms Regulations (ITAR) protections. The State Department argued that blueprints of Wilson's 'Liberator' pistol, which had already been downloaded more than 100,000 times, were classified as 'exports' and could therefore not be distributed according to law. The article was shared by Grindhouse, a DIY biohacking group that specializes in human augmentation through the use of biotechnology, another field in which advances in technology are manifesting themselves, quite literally in the hands of ordinary people. Under Grindhouse's Facebook post, a refreshingly complex discussion developed, far beyond the pro-anti gun debate typical in American politics. Just as RAND and other representatives of corporate monopolies have tried to raise alarm over 3D printing in an effort to protect their respective industries, efforts to register, restrict and constrain the use of 3D printing by citing the possible widespread proliferation of homemade weapons seems very likely to follow Defense Distributed's legal victory. Manufacturing your own firearms is dangerous. Poorly constructed firearms, or even well-made firearms that are poorly cared for, can cause harm, even death to the operator and bystanders. 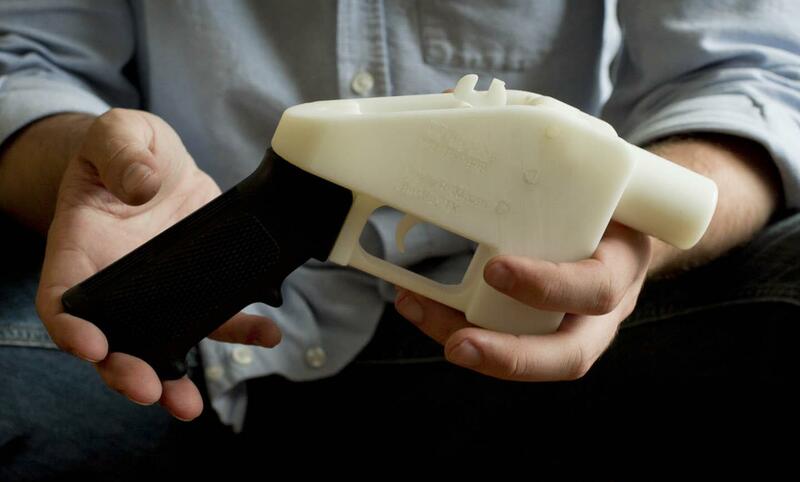 It is possible that after Defense Distributed's legal victory, interests seeking to restrict 3D printing may use accidents involving 3D printed firearms as a pretext to finally implement stricter controls over 3D printing technology altogether. 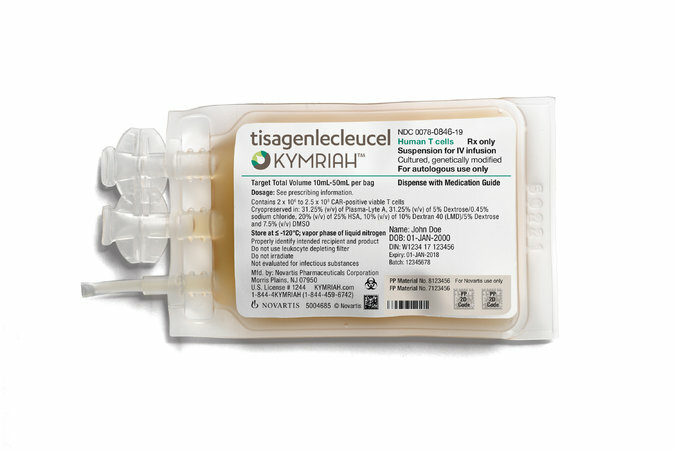 August 31, 2017 (Tony Cartalucci - LD) While Americans squabble over irrelevant political diversions, a revolutionary breakthrough in human healthcare has yielded its first FDA approval - a therapy that literally cures otherwise incurable leukemia. Image: A virtual cure for leukemia - paid for by taxpayers and charity, hijacked and sold for nearly half a million dollars by pharmaceutical giant, Novartis. What would seem like headline news has instead squeaked through as a whimper - not because it is insignificant - but because of how this monumental breakthrough has been hijacked by special interests and how these interests plan on making Americans pay twice for its development behind a smokescreen of public ignorance. For the past 20 years, American taxpayers through the National Institutes of Health (NIH) and the Leukemia &amp; Lymphoma Society (LLS) helped fund a revolutionary cancer treatment that sidesteps devastating and ineffective chemotherapy and instead, re-engineers a patient's own immune system to find and destroy tumors. 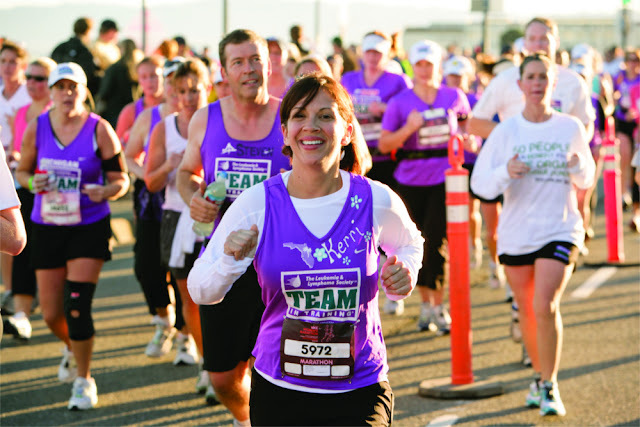 Image: LLS supporters organize events all over the country to raise tens of millions of dollars for cancer research including the development of therapies and the funding of clinical trials. LLS money was key to what Novartis alleges is its own "breakthrough." 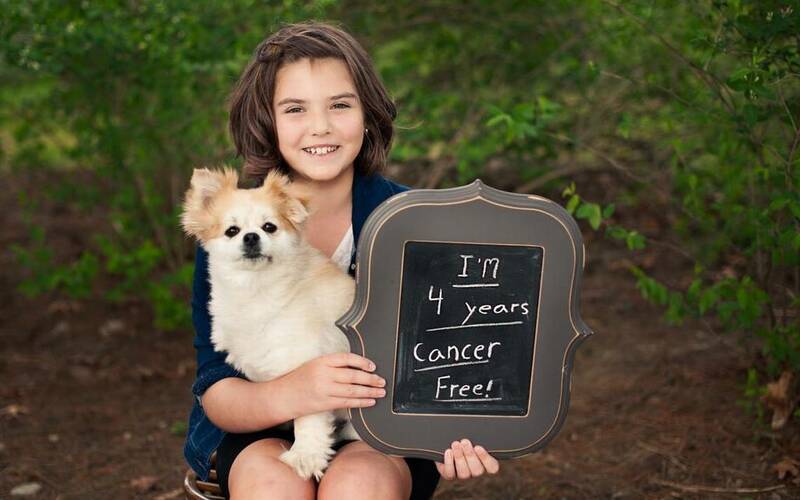 Image: Literally on her deathbed in 2012, Emily Whitehead has been cancer free after receiving treatment in clinical trials funded by charity. The media is now rewriting history, attributing the breakthrough and thriving patients like Emily Whitehead to Novartis. The revolutionary procedure has paved the way for similar "gene therapies" augmenting the human immune system to fight off and eradicate some of the most confounding diseases of our time. August 17, 2017 (Tony Cartalucci - LocalOrg) - Urban farmer Curtis Stone who runs a successful urban agriculture business as well as workshops and free online videos to help others join the urban agriculture revolution, has recently put out a very positive message regarding GMOs (genetically modified organisms) in the context of big-agricultural monopolies and what we can do about it. His underling message is to stop being paralyzed by fear and to start making a real difference by simply getting out from behind our computers, getting our hands dirty, and making with our own two hands the sort of world we want to live in. He says so as part of a tangible movement producing alternatives to big-ag and big-retail that have turned the tide against monopolies and have given people a chance at building their own value for themselves and their communities. While his message was specifically about GMOs and the agricultural sector, his wisdom easily carries over to virtually all other aspects of modern socioeconomic activity. It is a positive message that has been gaining traction as more and more people become frustrated with circular political debates, endless protests, and paralyzing fearmongering, all while the same handful of powerful interests benefit - far removed from the chaos they sow below. Abusive monopolies are so, simply because they have the wealth and influence to be abusive. This wealth is gained by millions of people in the United States and around the world paying them for their goods and services month-to-month. This concentration of wealth was not accomplished overnight, and it will not be undone in an election, with the passage of a bill, or anything less than its undoing through decentralization and localization. Reducing the wealth and influence of monopolies - regardless of industry - thus reducing their ability to abuse, requires directing our monthly income away from them and toward local alternatives. Money channeled to local farmers around the world instead of a handful of ag-giants and retailers, means the wealth these current monopolies use to lobby, manipulate public perception, bribe, and otherwise coerce public policy with, no longer exists. It is wealth through local entrepreneurship that can be used as local people see fit. Local alternatives create a decentralized version of the centralized monopoly they seek to replace, meaning that no single business has in its own hands the sort of wealth and influence existing monopolies currently enjoy. This creates a better balance of power and deters the sort of abuses excessive disparity invites. Curtis Stone and others encourage people to create value and wealth for themselves instead of obsessing over political discourse, ideology, and fear. And the more people who choose self-empowerment over circular conflict, the more actual leverage we will have individually and collectively when actors such as agricultural monopolies, tech giants, or the defense industry attempt to coerce a people, a nation, or even a world into action that benefits none but a handful of monopolies.